My amazing silly faced dance school! 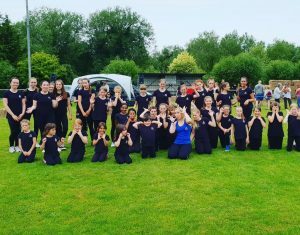 So proud of all the dancers that turned up to perform today at Stockbridge Fete especially those whose first performance it was! A special shout out to the Twinkles Wednesdays who only had two dancers take part and to @maddijadesmith for performing solo! You all did so well! If anyone took any photos or videos please send them across!